Superman’s iconic red trunks have been missing for seven years, but they will be making their grand return on April 18 for the landmark Action Comics #1000 from DC Comics. 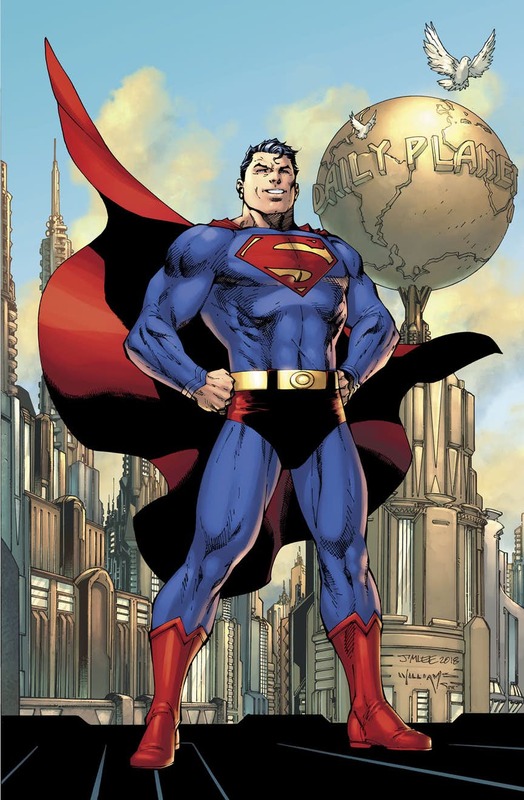 The trunks, which were originally intended to evoke a 1930s circus strongman, disappeared when Superman’s look was redesigned by Jim Lee for the New 52 reboot in 2011, replacing his costume with advanced Kryptonian armor. While the red undies are often poked fun at, fans considered removing them controversial because they are a classic element of the world’s first superhero. Now, Lee has designed a new Superman look that “integrates a variety of classic and new elements,” according to the publisher. The yellow belt is another returning classic element, while the metallic cuffs are from the 2016 Rebirth relaunch and were inspired by the Man of Steel movie costume. Our first look at the new Superman costume appears on the cover for Action Comics #1000, drawn by Lee, inked by Scott Williams, and colored by Alex Sinclair. Action Comics #1000 will feature work from numerous Superman writers and artists from over the years. One included short story will be the first DC work by Brian Michael Bendis.